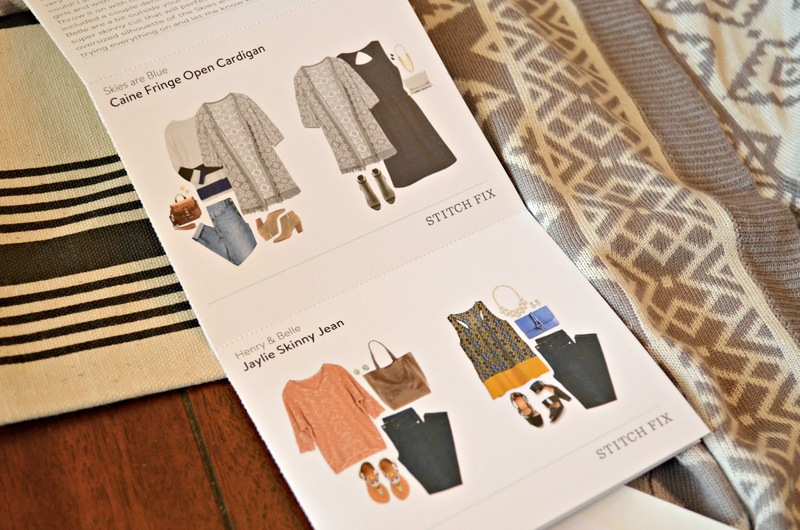 I have been hearing about Stitch Fix for a while now, and after planning a girls’ trip to Nashville to see my girl Anjelah Johnson, a.k.a. Bon Qui Qui (whoop whoop! ), I thought now was a good time to try my first Fix! You start by filling out a style profile. This part was fun for me, but I’m a weirdo and I love that kind of stuff. It’s pretty detailed, and allows you to provide links for the stylist to get inspiration from and find out more about you. I chose to only include my Pinterest “Wardrobe” board, but you could provide links to your Instagram, blog, anything that would help give some insight. 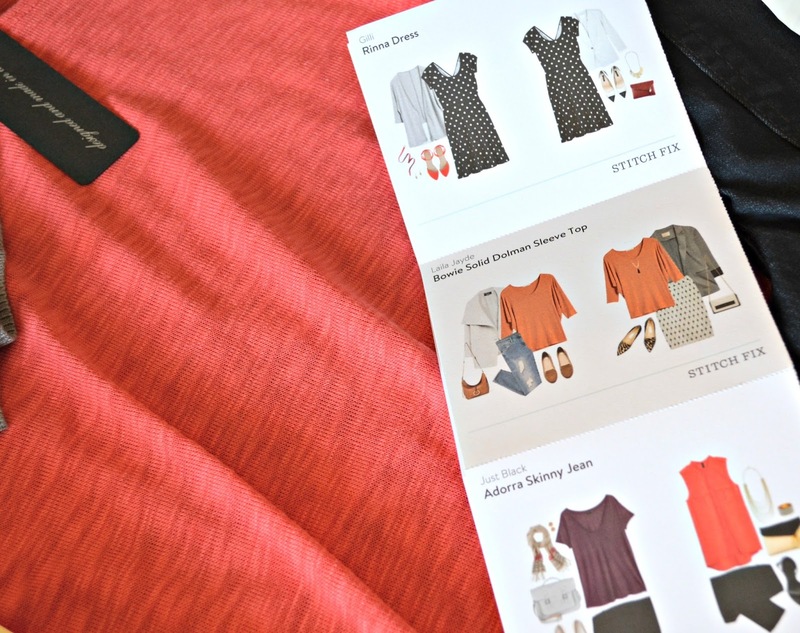 At the end, you can add a note about specific things you would like to see in your next Fix, like if you have a special event coming up, or if you’re in need of a specific type of clothing. 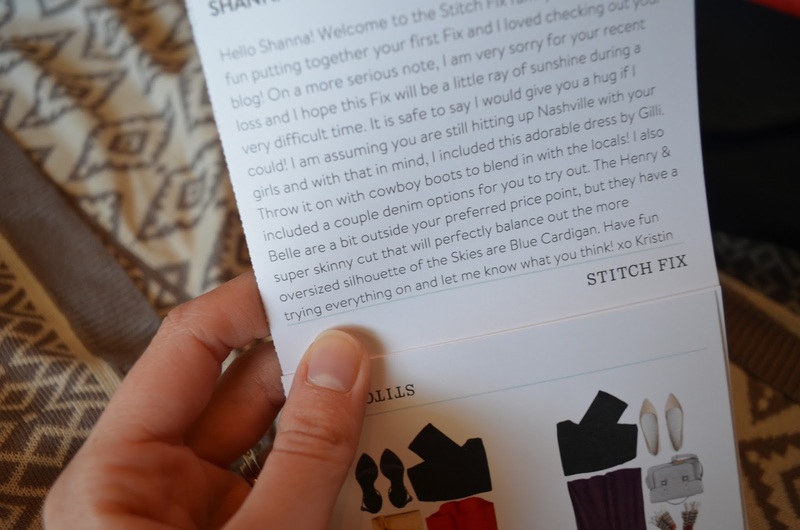 When it finally arrived, I opened up my box and found a personalized note from my stylist about why she chose these items, along with a sweet note about the recent loss of my mother-in-law. At first glance, I was excited about what I saw. EXCEPT….the one thing I hated off the bat was this navy polka dotted dress. Just SO NOT ME. But I vowed I would at least try everything on, so that’s what I did. (And it’s possible that I hated the dress even more on my body than I did just looking at it in the box.) It didn’t work…at all. Ugh. So it went back. For sure. Next, were two pairs of skinny jeans. One of them was a bit pricey, but not unreasonable for a good pair of jeans ($88) and the other pair was definitely overpriced for my budget ($148), so naturally, the overpriced ones fit like a beautiful denim glove. (WHY.) But I just can’t with that price tag. The other pair was an entire inch too small to even button. So both of those went back, which I was bummed about because I have such a hard time finding jeans (says every woman). The coral dolman top fit really well. The color was a bit much at first, but I liked the fit so much that soon the color grew on me. It’s as close as I get to a red tone in my closet and I knew with summer coming up it would also look better once I had a tanner complexion. I decided to keep this. The grey cardigan didn’t fit me in an oversize style like it was intended to, so I just didn’t love how closely it hung against me for what was supposed to be a flowy cardigan. So although I loved the look and style, it was a no. That left me with just one piece to keep: the coral top. At $58, it was more expensive than what I would normally spend on a top, but with the credits I had on my account, it ended up being in the $20-range which was more in my budget. After you make your decisions on what to keep and what to send back, you fill out a form with feedback for each piece. This communication lets them know why a piece did or didn’t work which should help with your future Fixes! Then you just put all the returns into the prepaid envelope and put it in the mail. 1 out of 5 is not what I was hoping for, but considering it was my first Fix, it makes sense. It will take some time for the stylist to get to know my style, and how clothing fits my body type. Overall, I liked the experience, especially since I don’t enjoy shopping. It’s nice to try the clothes on in the comfort of my own home and just mail everything back that doesn’t work. The major con for me is that the price points are high. 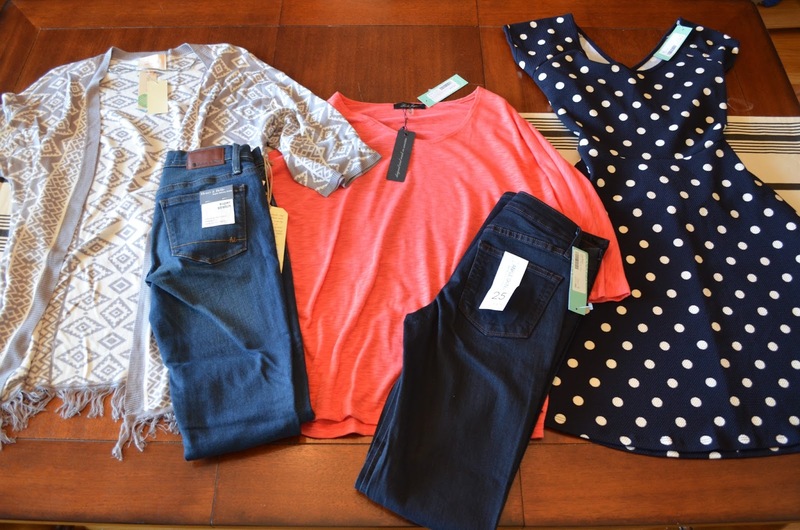 It seems that most items range from $50-$70, and that’s not even including pricier pieces like jeans. But my plan is to only schedule a Fix every 3 months, or when I have a credit on my account from referrals. If you decide to try it out, I’d love if you use my referral link. 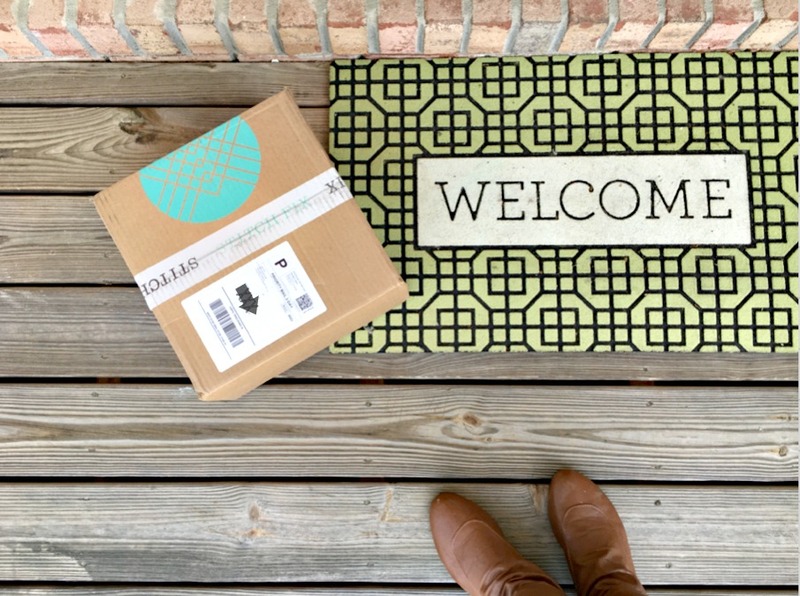 If you sign up and a friend uses your unique referral code, YOU will get a $25 credit! 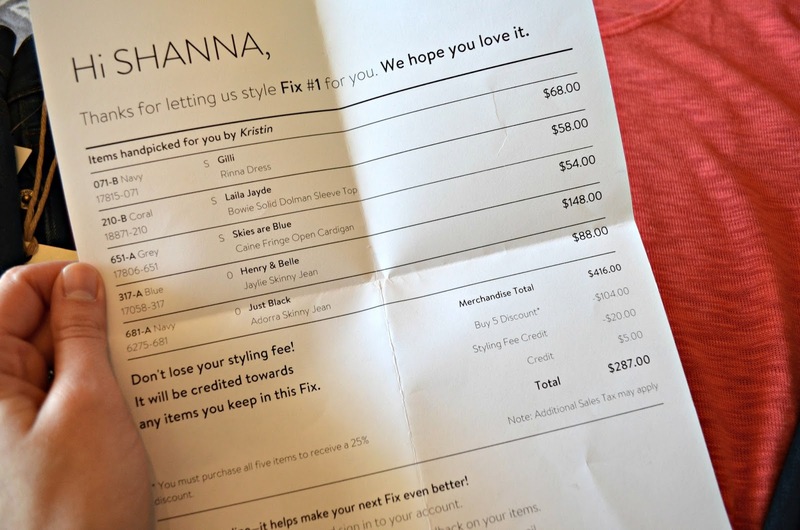 Which is pretty awesome since that covers the “stylist fee” of the Fix, plus an extra $5 toward anything you keep! Let me know what you think if you decide to give it a try! Next Article my journaling Bible + my first G I V E A W A Y !